504 Media Solutions was founded in 2008 under the name Mansions Publishing. The company was started in Baton Rouge, LA as a venture to publish and spread owner Justin Cox’s music productions globally. As a computer science major at LSU, Justin always had an interest in technology. As a result, he expanded the portfolio of service offerings in 2010 to include Web Design and Graphic Design services. In August of 2010, Justin completed his MBA at the University of Houston. With a combination of 13 years of leadership experience in Corporate America, an MBA degree, a project management certification and an ITIL customer service certification under his belt, Justin again expanded the portfolio of service offerings to include Business Consulting and Best Practice Advisory. 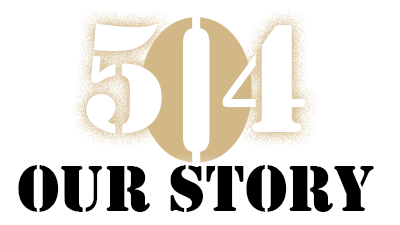 Due to the variety of service offerings, Justin changed the name of the company in 2015 to 504 Media Solutions, paying tribute to his roots in New Orleans, while also introducing a company name that is more representative of its full line of services. As a small business, Justin has powered a dozen websites nationwide and designed several logos and is looking to grow his clientele into the hundreds. Therefore, 504 Media prides itself on being a solution oriented and customer oriented business that places priority on the needs of its customers. Having lead teams of customer facing employees for over a decade, Justin has the acumen and expertise to carry out its vision of helping companies of all sizes grow as a result of thoughtful solutions being put in place in order to take advantage of a company’s biggest tool: it’s digital footprint.